An uber-cool Windows 7 Actions folder that is hidden from plain view. It is even called the Godmode! This Action folder consists of shortcuts to just about every settings change and administrative function in Windows 7 in one place! It is kind of an aggregate view of the Action Center, Backup and restore, Autorun, Desktop Gadgets, Devices and Printers, etc. Well, actually you could put anything inplace of the word GodMode and it will still work. Hope you enjoyed this tip and you can check out more Tips & Tricks here. 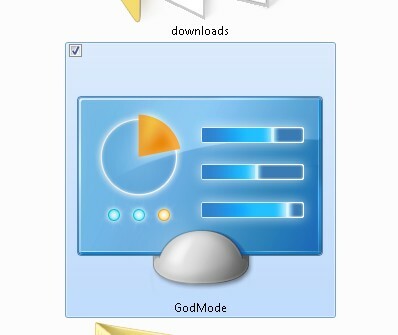 Godmode looks Nice, thanks for sharing.